by Yessenia Funes, assistant editor at YES! Magazine. Wealth in the United States can buy many things: education, homes, vacations. It can even buy the best doctors and diet, but it can’t buy health. Why not? Ask Stephen Bezruchka, a public health researcher at the University of Washington. While training Nepalese doctors and students in 1991, he stumbled upon research that revealed a disturbing trend in US health indicators: Life expectancy was falling behind other developed countries while mortality rates were rising past them. He wondered why. After leaving a career in medicine to study public health, he was shocked to learn that people in more economically unequal societies live shorter lives. What was startling was that this was true even for the rich. In the United States, the most affluent die at a greater rate (912.2 per 100,000) in counties with higher income inequality than the poorest (883.3 per 100,000) in counties with lower income inequality. More than 170 studies support these findings. Researchers don’t know why, but they have theories. Some say more people in unequal societies can’t buy what they need to stay healthy. That’s the materialist perspective. Bezruchka subscribes to the psychosocial theory, which assumes people are more influenced by societal expectations than their own needs. 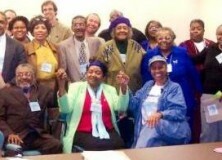 In the United States, individuals are expected to go the extra mile to fulfill responsibilities – rich or poor. What does this all inevitably lead to? Stress. Health functions at the macro level, and it can’t be improved unless structural problems are addressed and solutions are offered. That includes early-life programs. Bezruchka is now working with Washington Physicians for Social Responsibility to support a paid family leave act, because a baby’s first thousand days are some of its most critical. The United States needs a lot more than a thousand days to catch up to the rest of the developed world. It would actually need at least a generation, maybe two. Until then, rich and poor alike will continue to suffer the effects of income inequality. But catching up starts with change. Just ask Bezruchka. Joshua Freeman is a leader in primary care, both as a practitioner and as an academic, being the Chair of the Department of Family Medicine at the University of Kansas Medical Center. He has an excellent understanding of our disorganized health care system and of the social determinants of health and health inequities. He has studied extensively medicine and social justice, and shares his views through his blog. 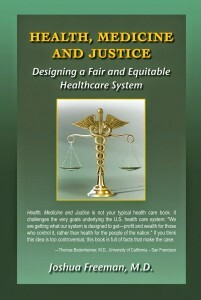 This book brings to print the basis of his passionate activism in support of equitable health care for all. 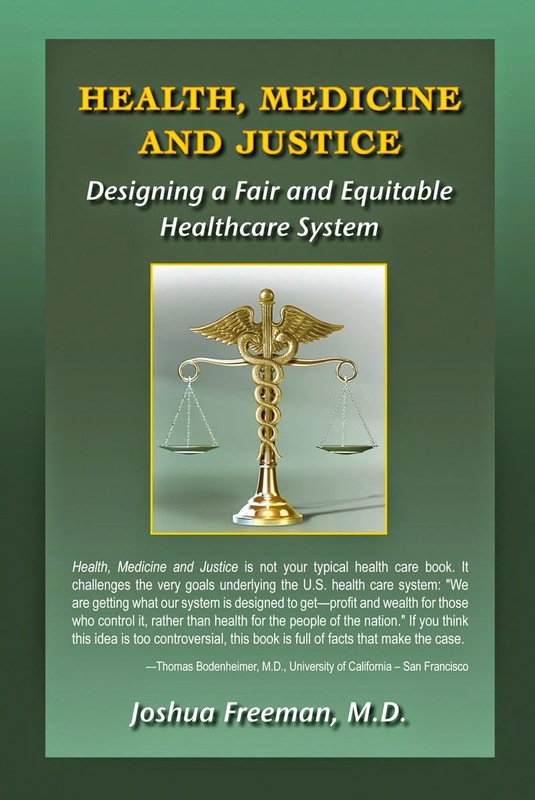 Chapter 1: Why Do We Have a Healthcare System? Chapter 2: The U.S. Healthcare System: Best in the World? 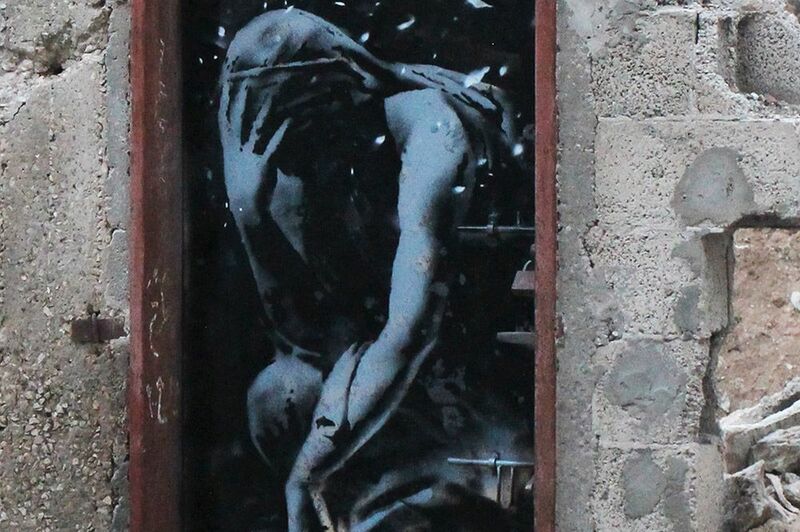 No one throws a guilt trip quite like Banksy. 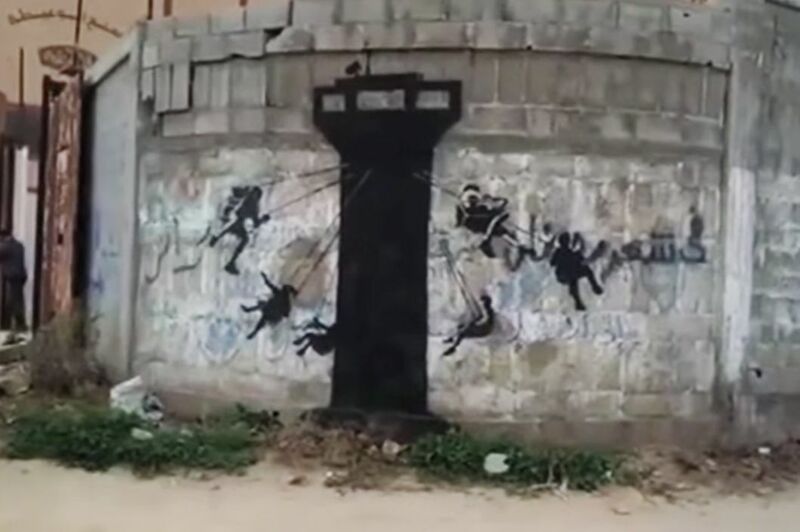 Case in point: The street artist just released a two-minute video (see link below) that shows him sneaking into Gaza to embellish the area’s bombed-out ruins. The video satirizes travel ads in typical heavy-handed Banksy style. It also features three new pieces: a man knelt in grief, children using an Israeli guard tower as an amusement-park ride, and a kitten with an enormous pink bow. 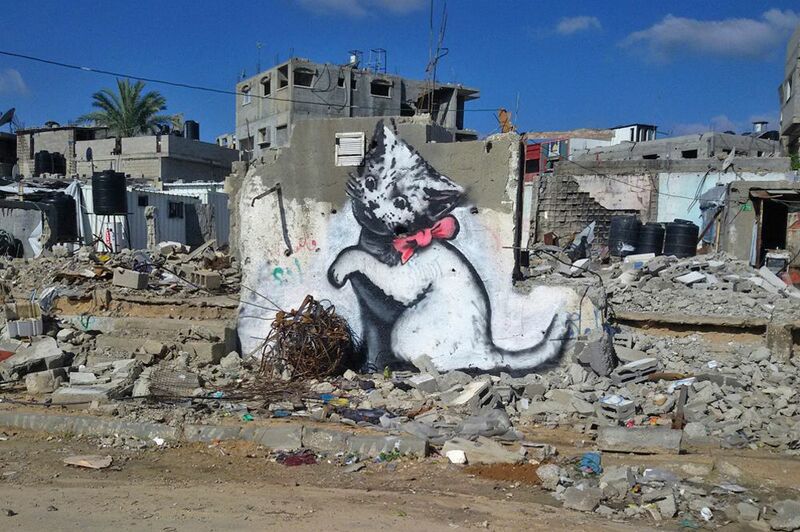 “A local man came up and said ‘Please — what does this mean?”” Banksy writes in the kitten’s caption. 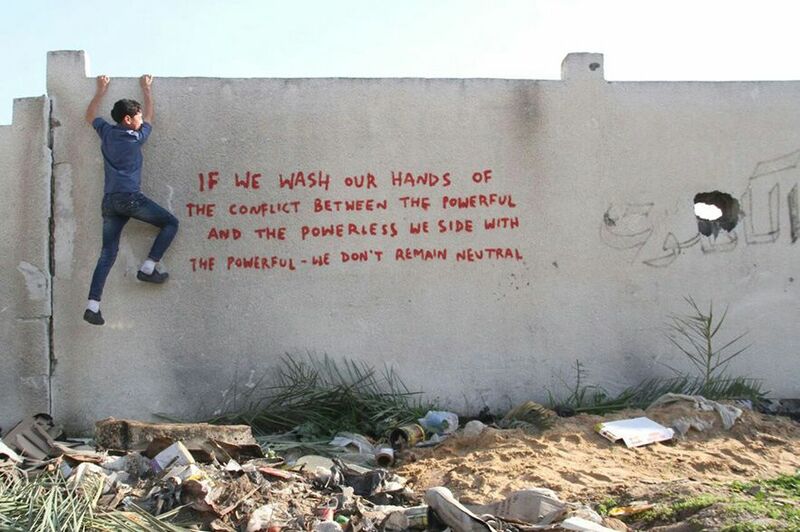 “I explained I wanted to highlight the destruction in Gaza by posting photos on my website —but on the internet people only look at pictures of kittens.” He isn’t subtle, but he gets his point across. “Income inequality” has already become a buzz phrase for the campaigns leading up to the 2016 elections. Likely candidates and pundits on both ends of the political spectrum have begun to talk about how fairness, social justice and—even after the implementation of the Affordable Care Act—the cost of health care insurance are contributing to the large and growing gap between the rich and poor. Dr. Linda Rosenstock, the report’s senior author, said lower- and sometimes middle-income wage workers often face additional workplace stresses that take a toll on their health—among them, lower pay, lack of paid sick leave, an inability to find full-time work, the need to work double shifts to make ends meet. Those challenges can lead to high levels of stress, exhaustion, cardiovascular disease, lower life expectancy and obesity, and the effects can easily trickle down to impact families and children. The commentary points to the health care industry—where there is a large disparity between the salaries for the lowest earners, such as nurses aides, and the top earners, such as surgeons—as one microcosm of the problems caused by inequality and changes in work organization. As a result, she said, lower-paid workers face the perfect storm of income inequality—being asked to work more with less, while also paying more for insurance premiums and out-of pocket medical expenses.